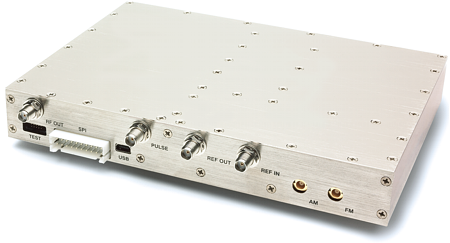 AV6418C OTDR is a high-performance multifunctional test instrument designed for FFTx network. It’s mainly used to measure the physical characteristics of optical fiber & cables including length, transmission loss and splice loss etc. It can also accurately detect the potions of the events (such as splices, far end and breaks) along the optical fiber line. It’s widely applied to the engineering construction, maintenance test, and urgent repairing of optical fiber communication system, as well as the R&D, manufacturing, and test of optical fiber & cables. AV6418C OTDR adopts the most advanced technology of double color & material integrative mould, which makes it novel and beautiful in appearance, strong and firm in structure. With both touch screen and keypad, the operation is quite convenient. The built-in advanced antireflection LCD makes the operation interface clearly visible even in the field. 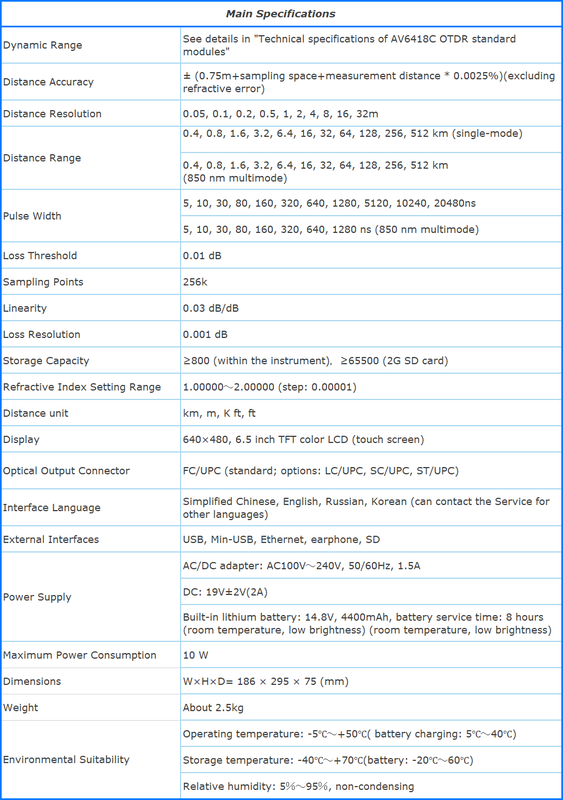 The instrument has 4-path of optical interface, which can simultaneously realize the functions of optical power meter, VFL, single-mode and multi-mode test. The connector type is exchangeable, which makes it more convenient to clean the end surface of the fiber. The instrument has multiple external interfaces. It can realize not only the remote control via Ethernet interface, but also the data communication with U disk, printer and PC via two different types of USB interfaces. 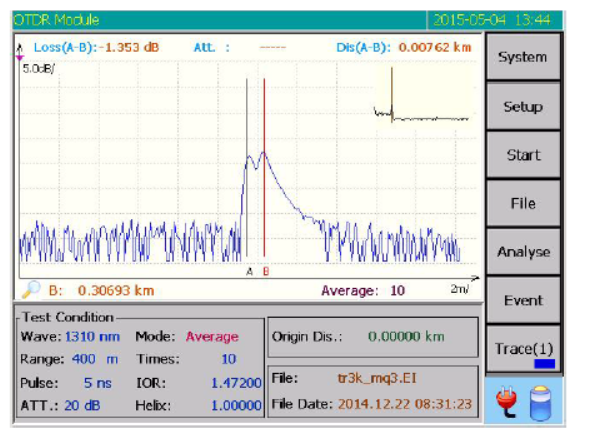 The test result can be saved in the instrument, or to the SD card via SD interface. With large capacity lithium battery, AV6418C OTDR can continuously work over 8 hours, which is very suitable for field work. 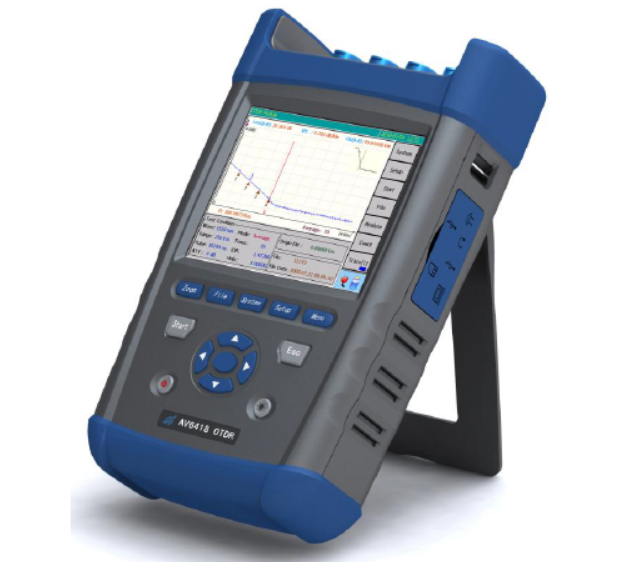 With the automatic measurement function of AV6418C OTDR, users can easily conduct the test with no need to know about the operation details. The steps are simple: just connect the fiber, and press [Start], then the instrument will automatically set the optimum test conditions and display accurate test results, such as testing curve and event table etc. 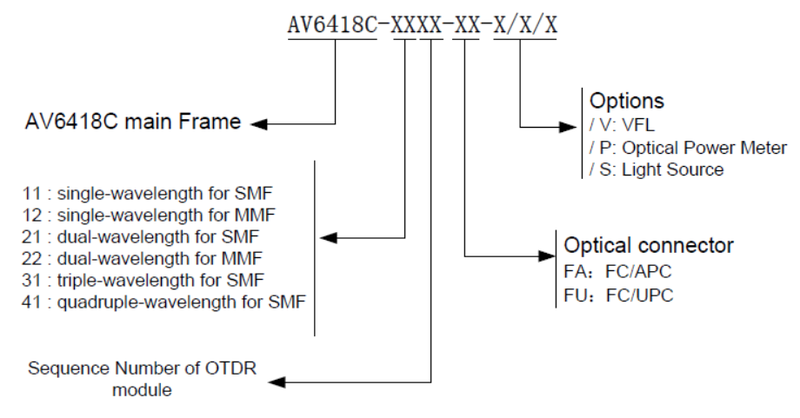 AV6418C high-performance OTDR offers three test modes: manual (real-time, average), automatic, and dead zone. Manual test mode: manual mode is suitable for skilled operators who are familiar with the instrument, so that to get more accurate test result. In manual test mode, real-time mode or average mode can be selected based on user demand. 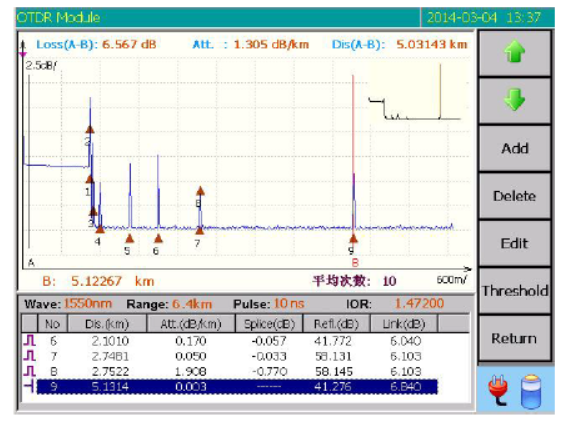 Real-time test can rapidly detect the dynamic changes of the optical fiber line. 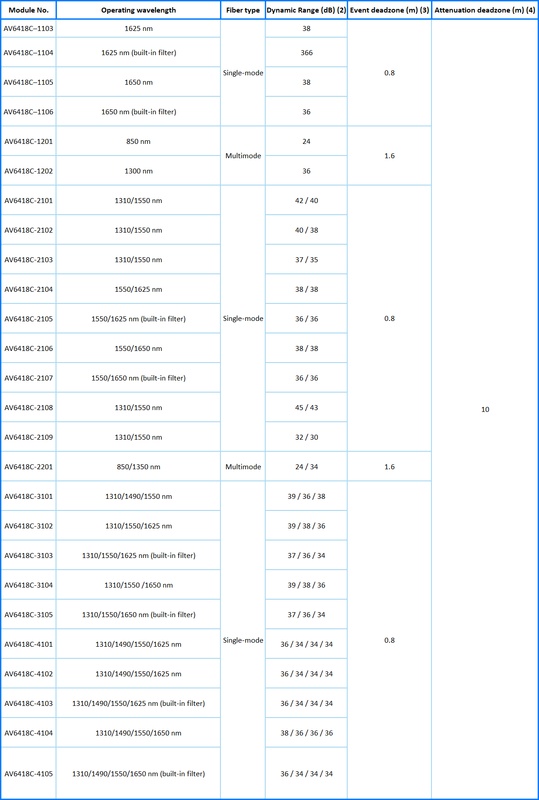 It is applied to real-time monitor or to observe the optical fiber connection process and effect. Average test mode can maximumly suppress the noise in the testing curve, so to get a more accurate result. Under average mode, the more average times, the better suppression of the noise, but the longer time it takes. So, in practice, the average times should be set properly according to necessity. Automatic test mode: under this mode, the instrument can automatically set the optimized test conditions, and give out the test result. There is no need for the operators to know about the complicated background knowledge and the operation details. To enhance the automatic test efficiency, the average times can be increased properly, though it will prolong the test time. 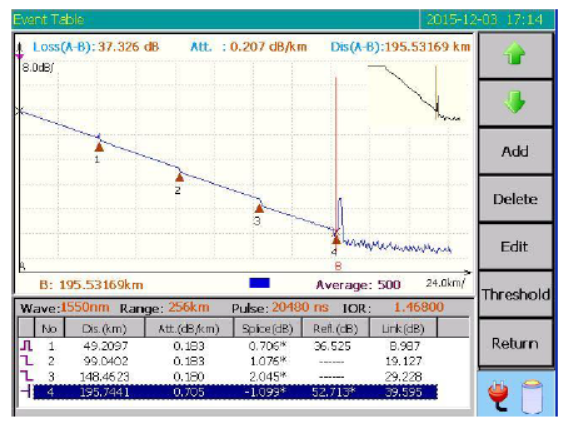 Dead zone mode: this mode is suitable to test the optical fiber with short distance, for example, to test the jumper length of the optical fiber. 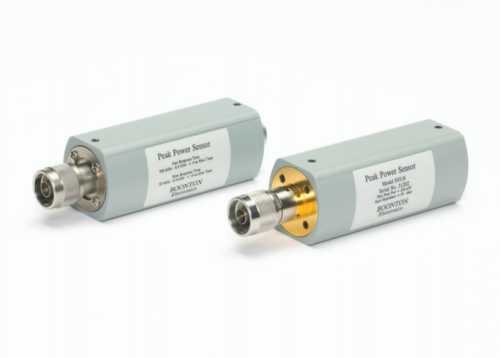 Under this mode, to get the best result, the reflection loss (or called return loss) of the fiber terminal is required to be larger than 40dB. One and only standard module must be selected.